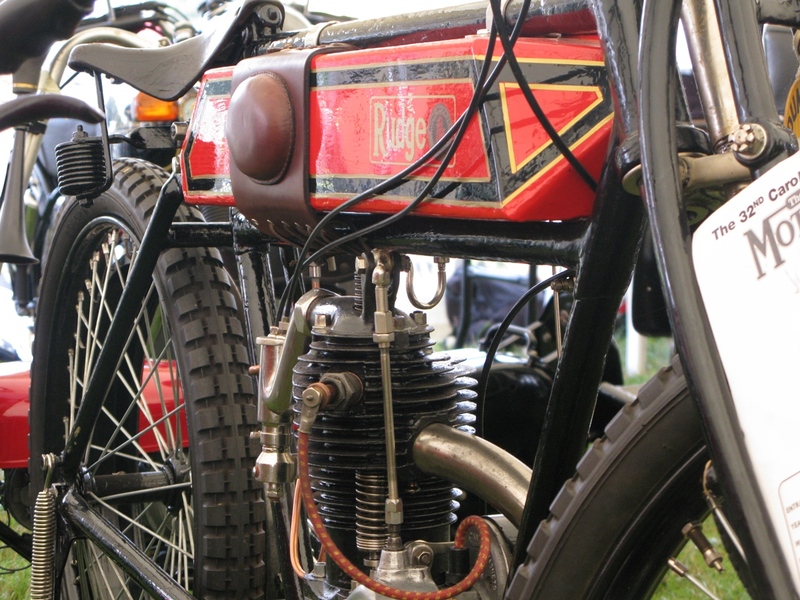 Here's another crop of old pics. 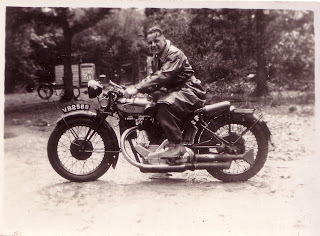 This guy was living the dream late thirties with his Rudge Sports Special. 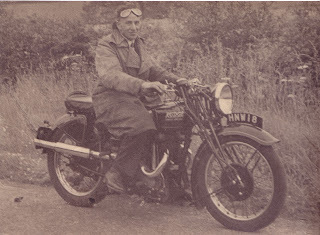 I have no details about the pics other than a quick google reveals that the HNW registration pre-fix is a Leeds registration and 1939. Happier times before the war with Rudge Sports Special. 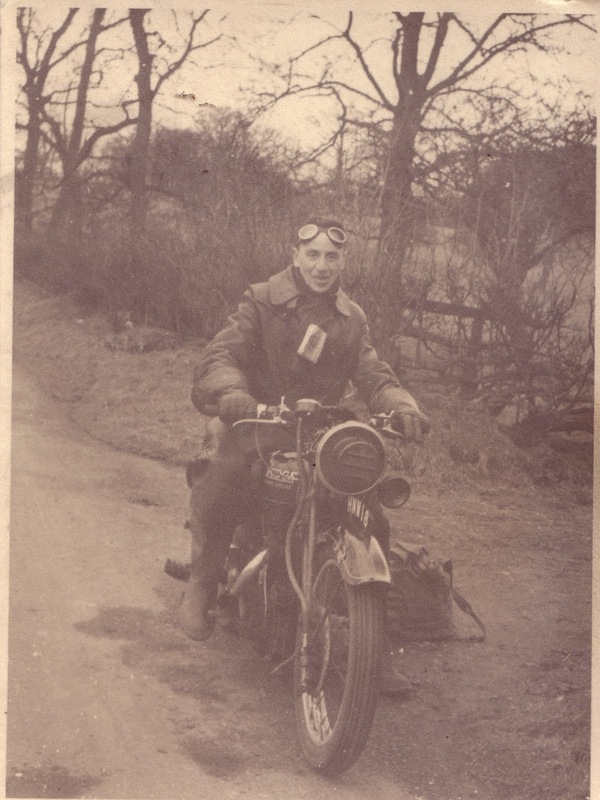 District during the war years (black-out headlight mask fitted). 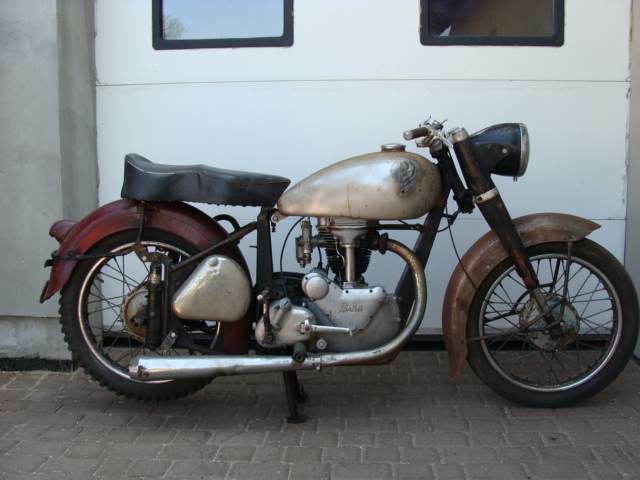 Browsing through ebay a couple of days back I came across this Svalan for sale in Poland. It's a marque I had never come across before and if it was brought over to the UK there'd be little chance of seeing two in the same place. Svalan 'Lyx' offered on ebay. Turns out Svalan is a Swedish marque which commenced production of autocycles shortly before World War Two in the town of Falun. 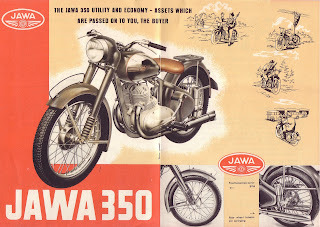 Post-war they re-commenced production and produced mopeds, scooters, smaller two stroke motorcycles and four strokes using the British Panther 'lightweight' 250 and 350 engines. 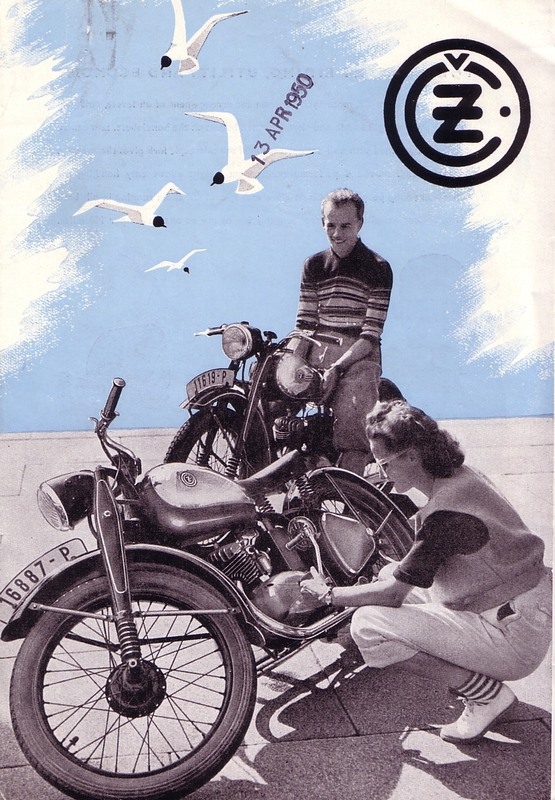 1955 Svalan brochure cover page. The August Popham Megameent is now well established in the calendar. 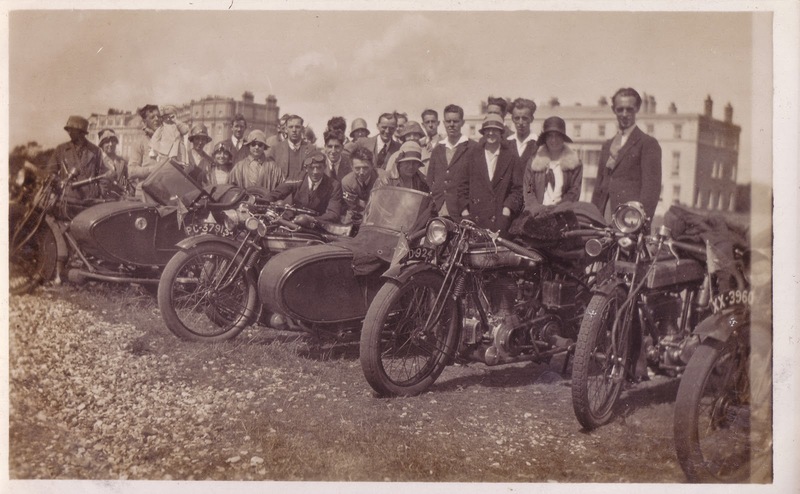 An informal ride-in show with club and trade stands. 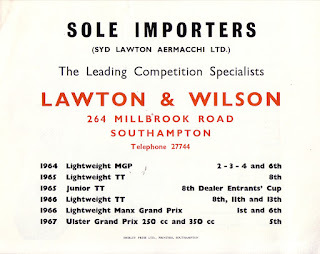 There are a couple of marquees but it is mostly outdoors and has on a few occasions in the past fallen foul to the vagaries of the English summer. This year, despite the majority of the summer being an absolute stinker weather-wise, the gods smiled and Popham was blessed with glorious sunshine. 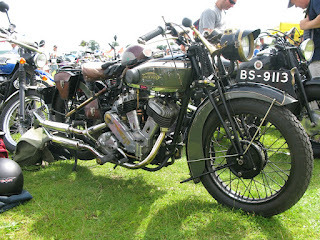 The combination of motorcycles and aeroplanes at a good old fashioned enthusiast aerodrome is a winner and throughout the day numerous flying machines dropped by, many of them vintage and even a gyrocopter amongst their number. 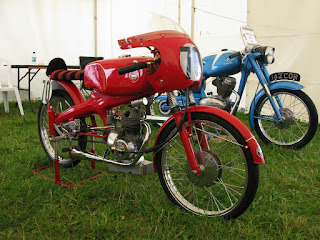 Here's a few photos from machines that caught the eye..
Open frame three speeder Scott. Lovely unrestored dohc MV Augusta race bike. 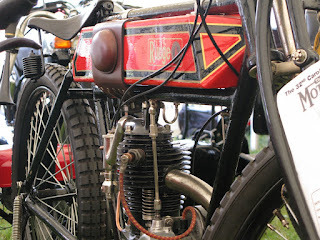 Detail from a Moto Rumi 'Gentleman'. 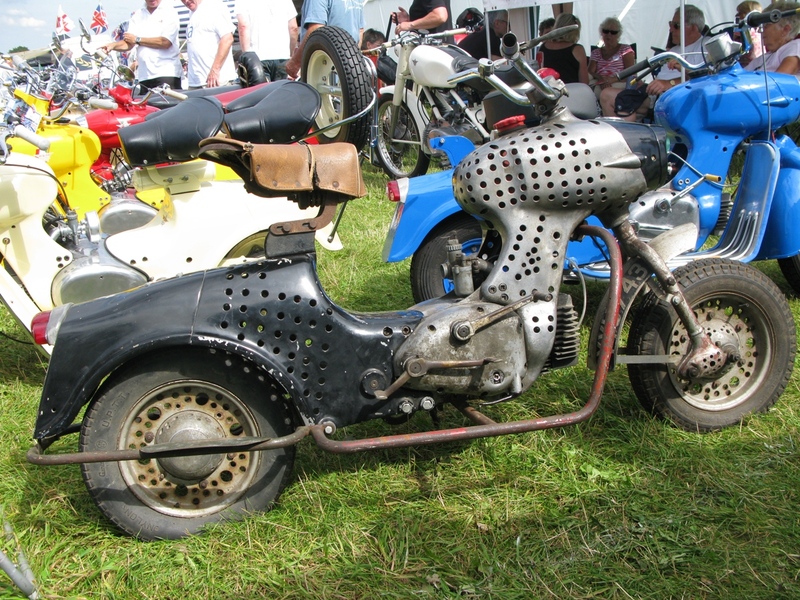 leave this Moto Rumi Tipo Sport just as it is. and brakes worst than original! sure. Very nicely put together. 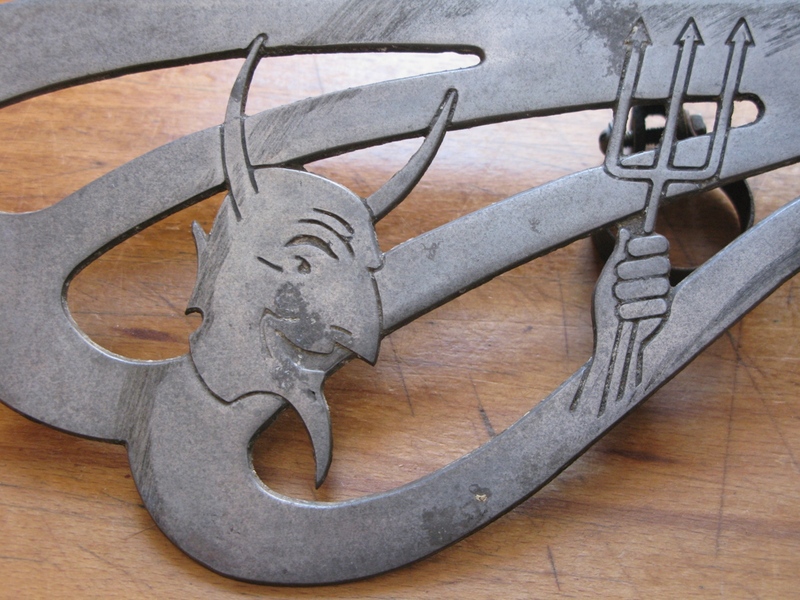 used by a gamekeeper in Surrey for all of its life. 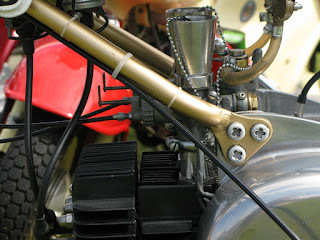 sump and probably a very effective noise generating tool. for military evaluation. 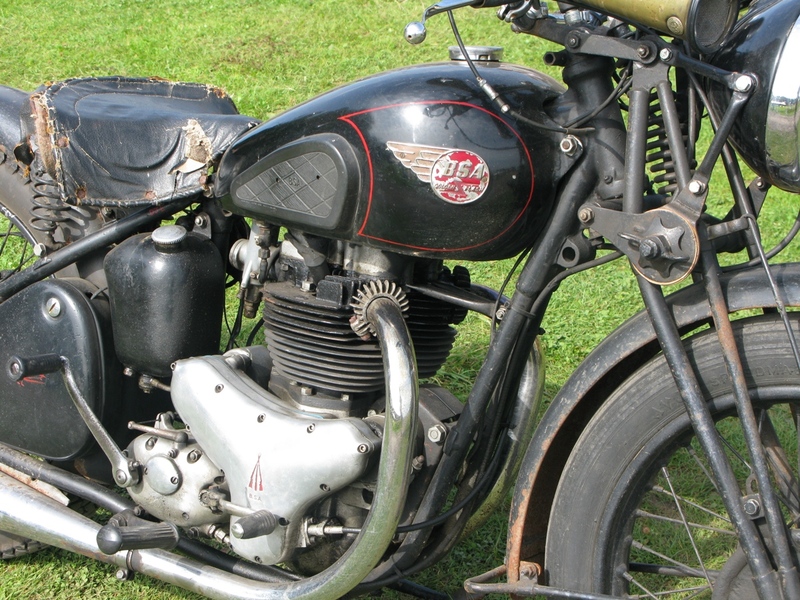 In the end they chose the Triumph TRW. 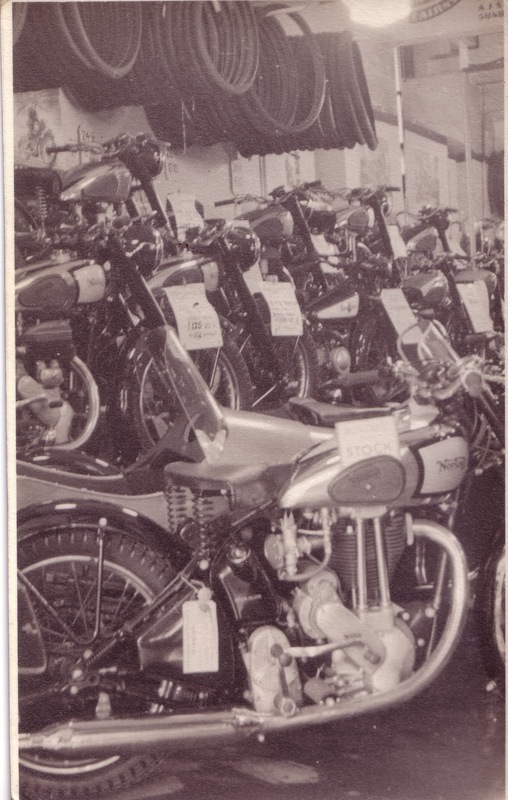 the first in there with swinging arm frames post-war. 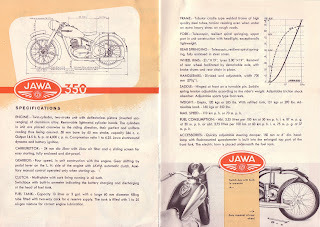 1950 350cc Jawa brochure page 1. 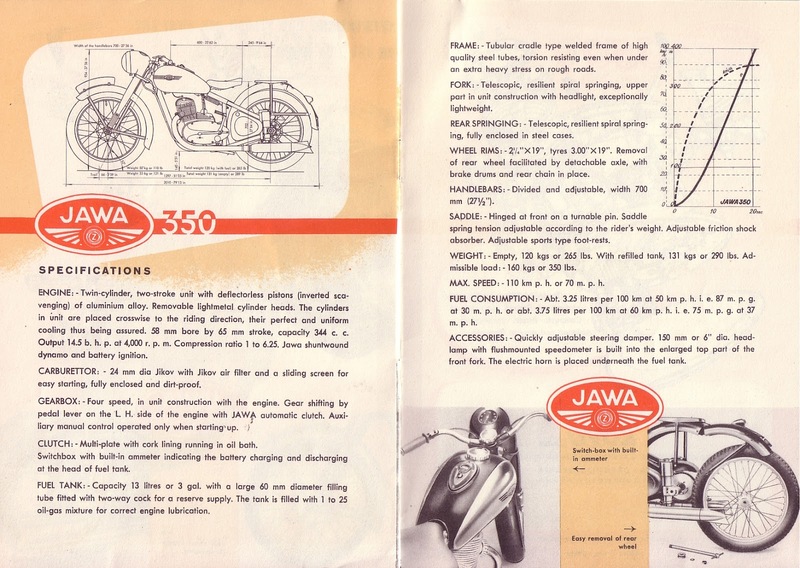 1950 350cc Jawa brochure pages 2 & 3. 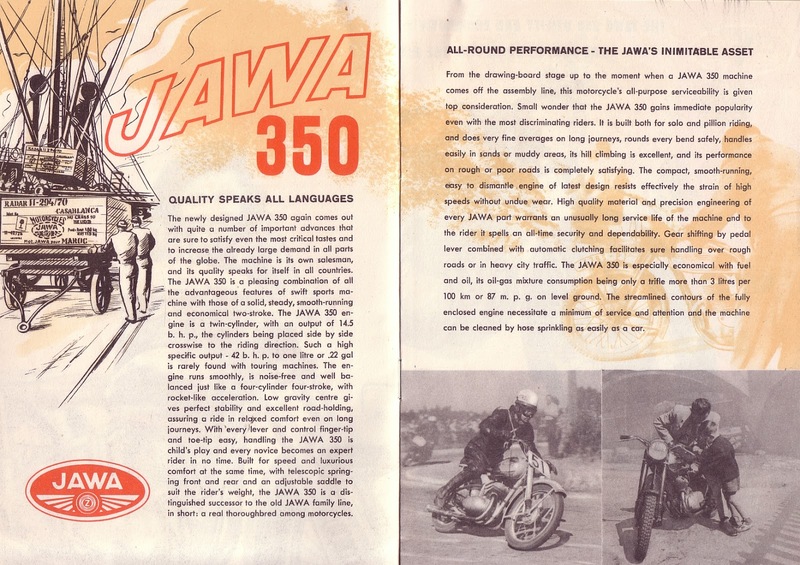 1950 350cc Jawa brochure pages 4 & 5. 1950 350cc Jawa brochure page 6. So, thumbs up to no mots. Yeehaw! Slightly more freedom and a few notes extra in the pocket. 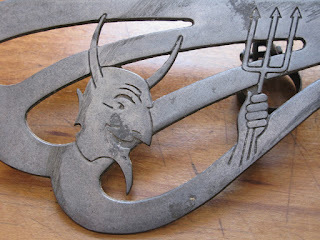 However, there is a new proposal, mot related, that is a very scary. 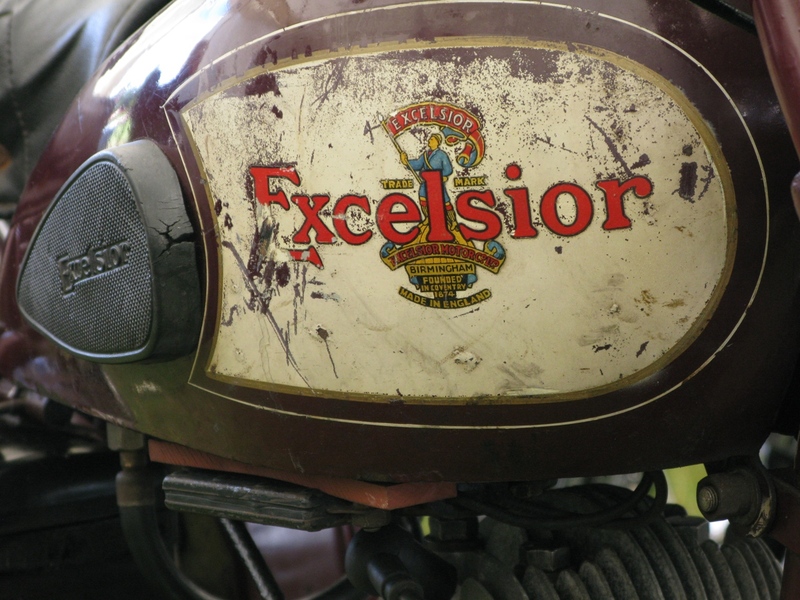 The 'Amendment to EC Roadworthiness Package for Historic Vehicles'. 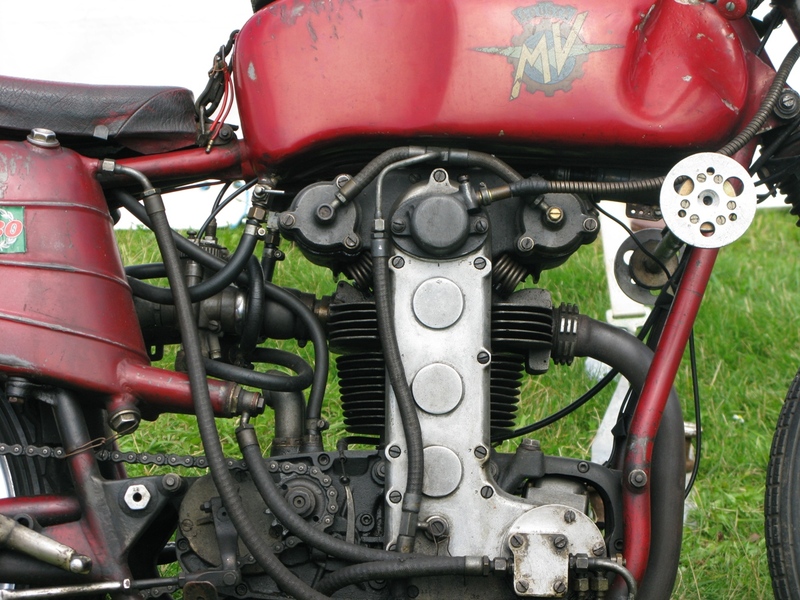 Without going in to great detail there is potential that modifications and updating of your own machinery could become illegal. 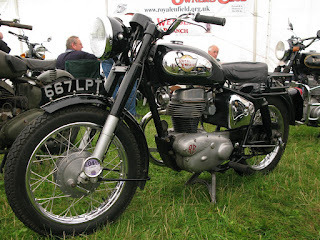 This could be improving the braking or building up a 'shed special' like a Triton. The above is part of a new EU proposal for 'Roadworthiness Testing'. It's very drachonian and completely unnecessary. 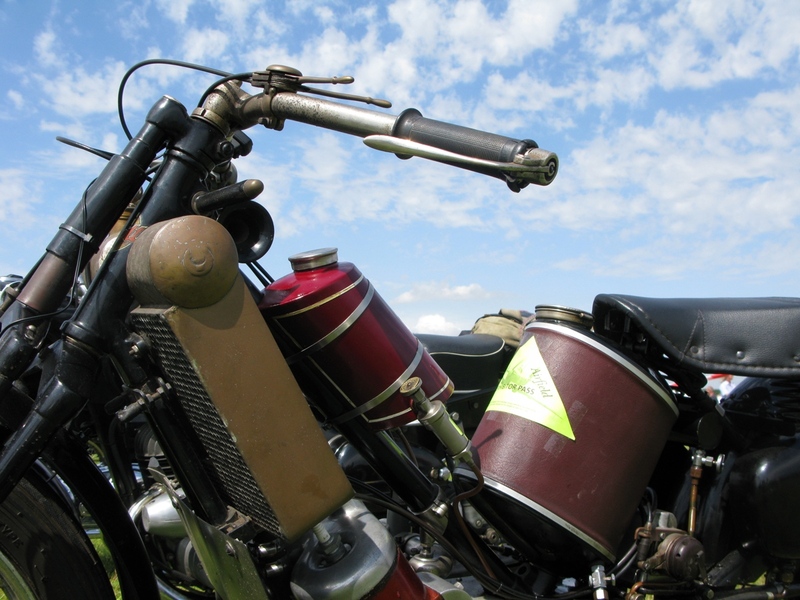 Read the synopsis on the Motorcycle Action Group site or the patient can read the proposals in full on the EU site. Then write to your MP and complain for all you're worth! 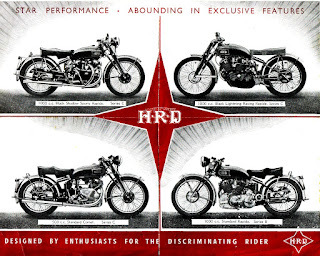 1948 Vincent HRD brochure front and back. 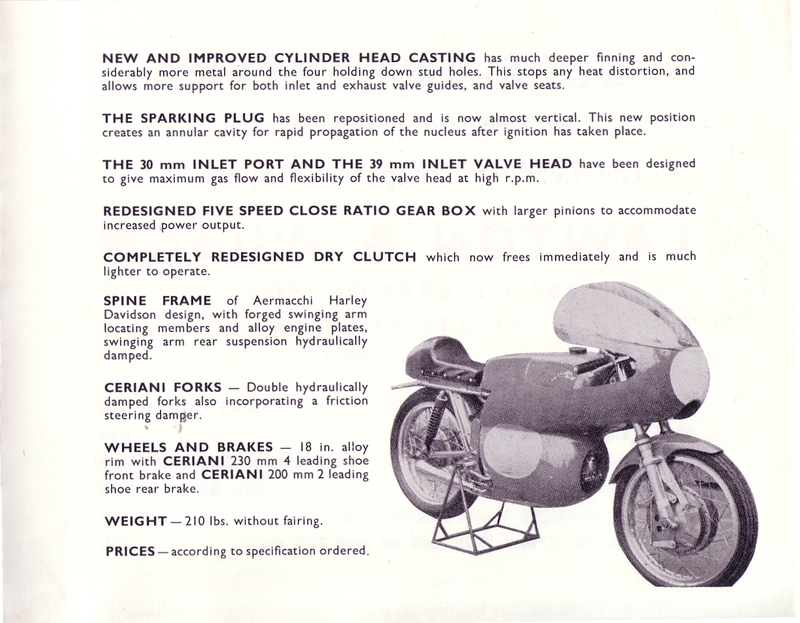 1948 Vincent HRD brochure centre fold-out. 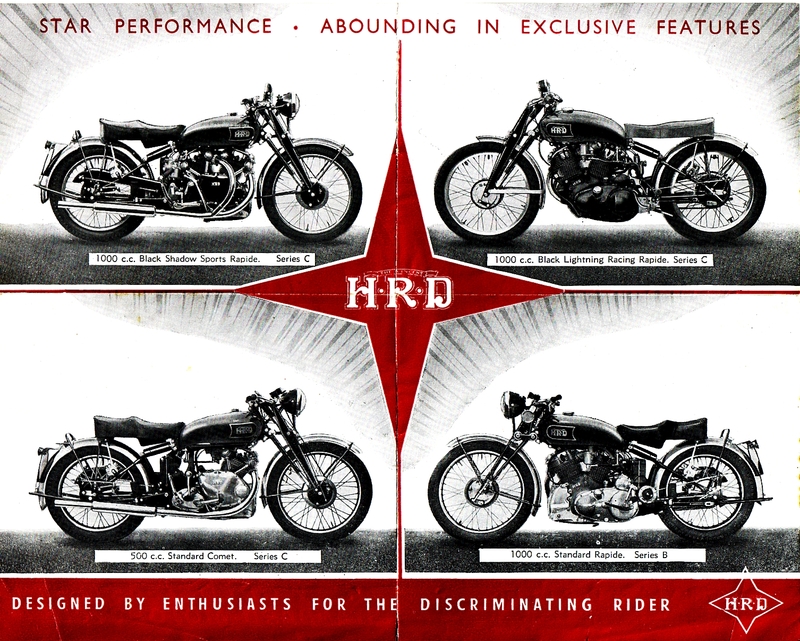 1948 Vincent HRD brochure middle pages. A couple of nice early pictures of military machinery. machines are all Royal Enfields with Vickers v-twin motors. bike pressed in to service or the photo is simply pre-1914. 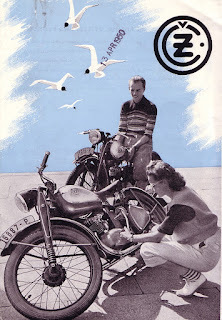 The CZ brochure from 1950. I suspect not many made it to the UK. A pity as the bikes were certainly a match for any home produced lightweight. 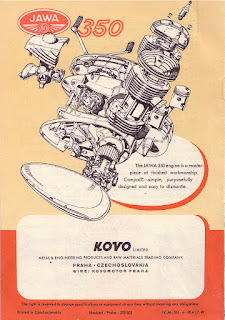 1950 CZ brochure page 1. 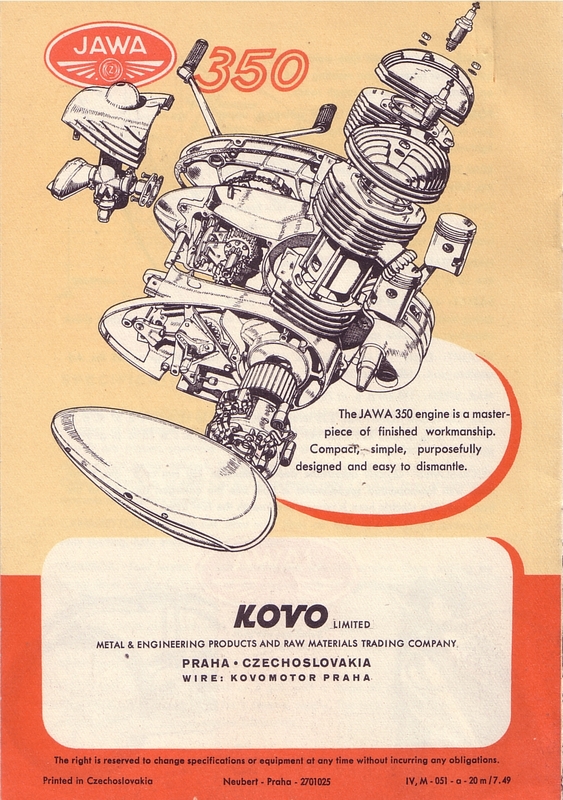 1950 CZ brochure pages 2 & 3. 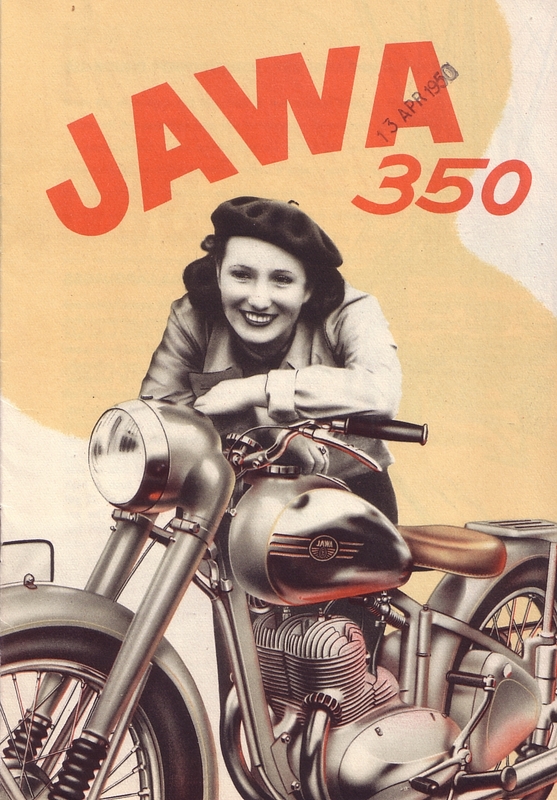 1950 CZ brochure page 4. 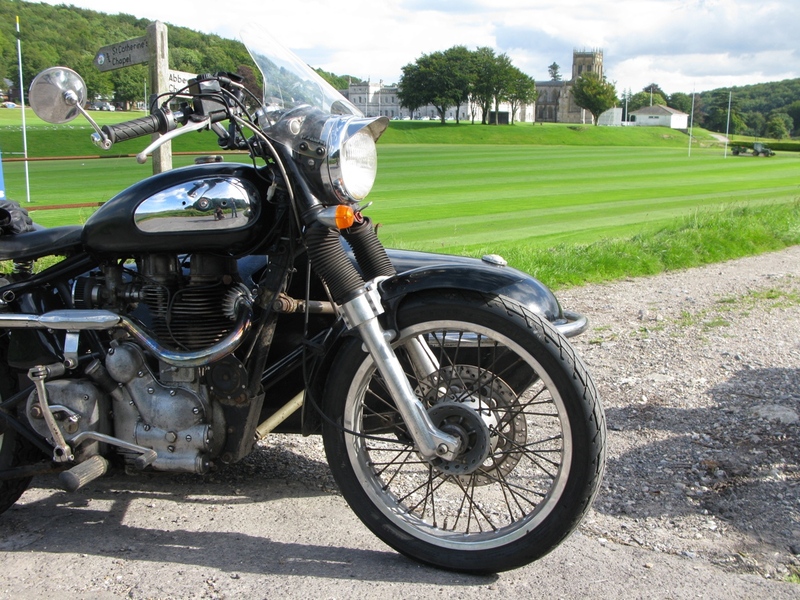 1997 Royal Enfield Bullet with Watsonian Monza sidecar. The starting point for fitting the chair was two buckets full of sidecar fittings bought from a local auction for a tenner. 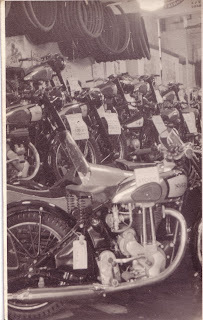 As I went on to find going the mix and match route for fittings is a difficult one for a sidecar rookie but buying a set of new, ready to go, fittings can be very pricey. The story has a part one and a part two. The part one fitting picked all the most apparently suitable bracketry and lined the chair up to the bike as per instructions from an old handbook and used straight edges to get all the angles right. Problem was though that the rig was un-rideable. Even from the lowest speeds the steering shook terrifyingly. 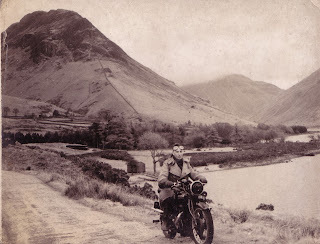 Knowledgable folks said ride through it and it will settle down. Sadly this wasn't the case. I'm pretty sure the sidecar geometry wasn't to blame and it seemed like the front end needed a rebuild as on examination there was wear in all moving parts. The forks were taken off, new steering head bearings fitted and then the whole lot was re-assembled with new stanchions, a steering damper from a Redditch Bullet (see earlier post) and a fancy Hitchcocks fork brace. Next step was to put the chair back on. I decided to throw the handbook away and go for the 'if it looks right, it is right' approach in the hope that I would learn more on the art of sidecar fitting. The Monza chair is almost the same length as the Bullet; whereas fitting it by the book the rear of the chair sat further back than the rear of the bike I decided to put it right alongside. 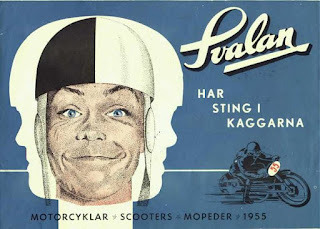 This looks a lot better and given that you can find recommendations to place the sidecar wheel anything from parallel to the bike's rear wheel to a foot in front it is still within the acceptable range. 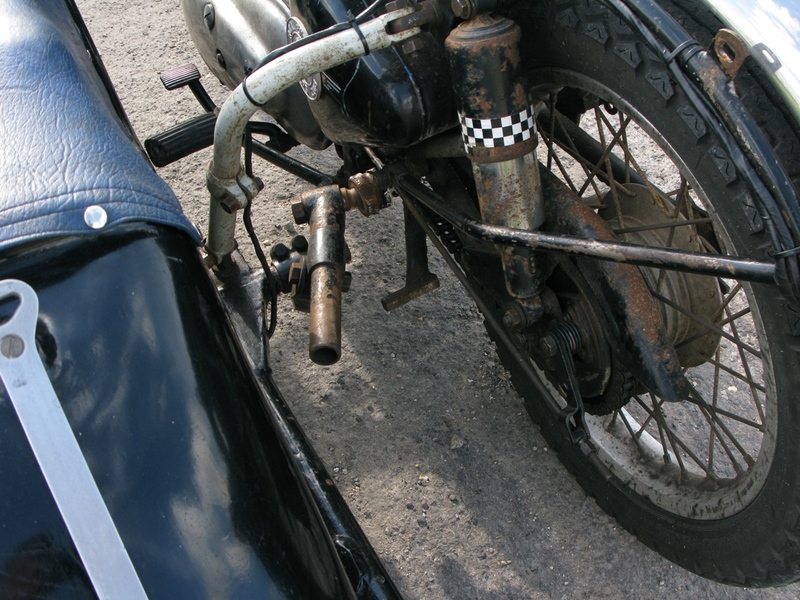 The other two adjustables for fitting a sidecar in terms of handling are: 'toe-in' for the sidecar (the angle to which the chair's wheel points inwards to the bike) and 'lean-out' of the bike. 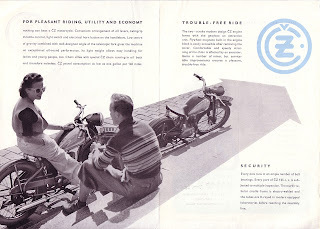 The toe-in will steady the handling, too much and steering will be heavier, too little and it will be skittish. Go the wrong way and point it out and handling will be pretty wild! 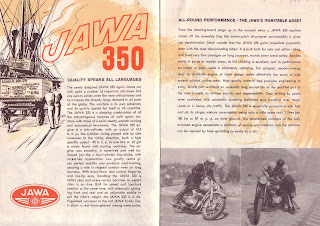 Too much toe-in will also give heavy tyre wear. 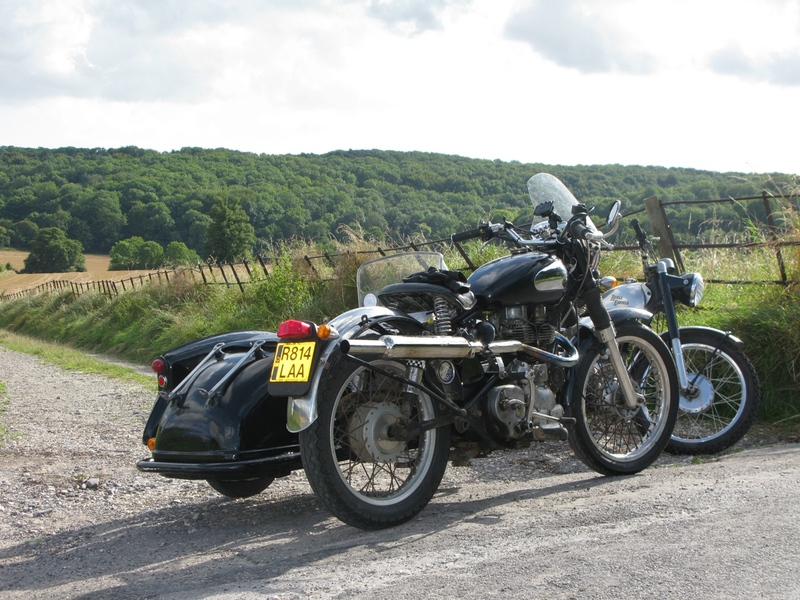 Against expectation the bike must lean out from the sidecar rather than stand upright. 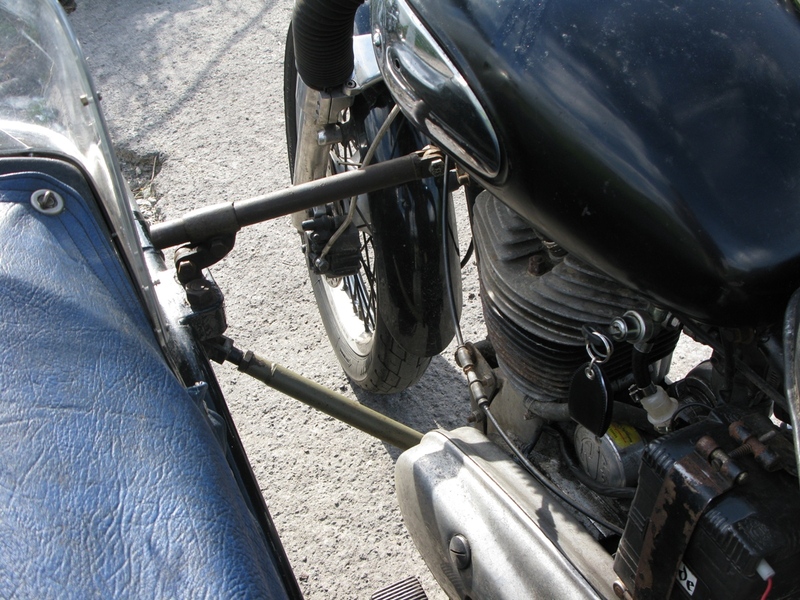 Without lean-out the bike will steer in to the sidecar, too much and it will pull away. The second fitting of the sidecar seemed ok and off it went for an MOT test. Job done, it steered nicely and passed. 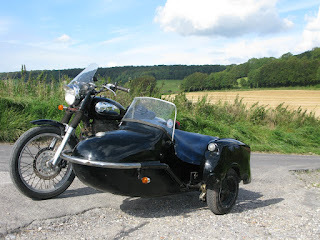 Then first ride with a passenger in there was some movement on the fittings and the nose of the sidecar ended up meeting with the tarmac. Some re-thinking was needed on fittings. For the front upper fitting I had gone with a straight bar, I had been told that this wouldn't work and only a 'swan neck' would be rigid enough. This didn't quite sound logical to me as it is the two points of attachment that are important, the shape of the fitting arm is irrelevant. 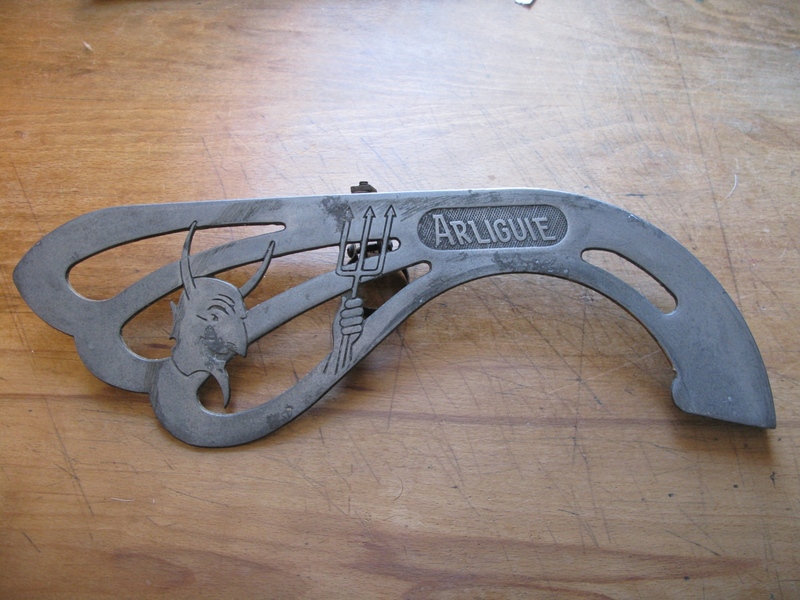 If a short, straight bar is rigidly attached it should be better. 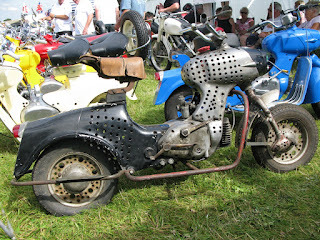 What had moved and caused the sidecar nose to drop was the upper front bike frame attachment. 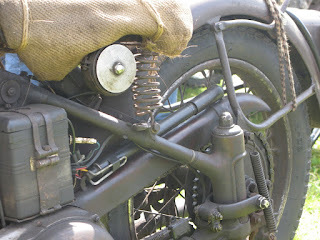 It had just one clamp bolt as well as the spade bolt to fit to the arm. I swapped it out for a sturdier one with two clamp bolts. Also the rear lower ball joint was suspect. This was exchanged for a slightly stronger, if more cumbersome, set up. Rear fittings with ball joint and rear swan neck. The rig was now definitely rigid. 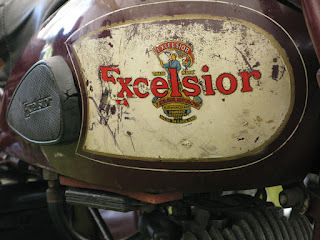 I rode it around the block. It looked right and it went right. 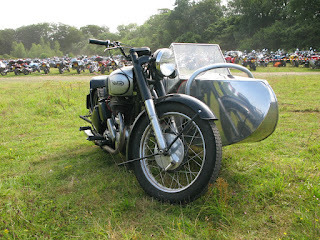 I then loaded the sidecar up to go off to the Royal Enfield Owners Club 'Fossil Rally' weekend the next day. What a revelation camping with a sidecar, I could even carry a barbecue, firewood and a sack of charcoal. Brilliant. 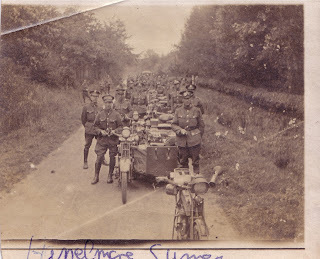 Then I set off and it handled like a pig with a definite affinity for the gutter. I realised that, whilst the rig had been set up ok with the suspension unloaded on bike and sidecar and it rode ok on a low speed jaunt around the neighbourhood, as soon as there was weight on it the geometry all went to pot. Front fittings, not by the book but seem to work fine. The ride to the Fossil Rally took nearly three hours, it should have been just over one. 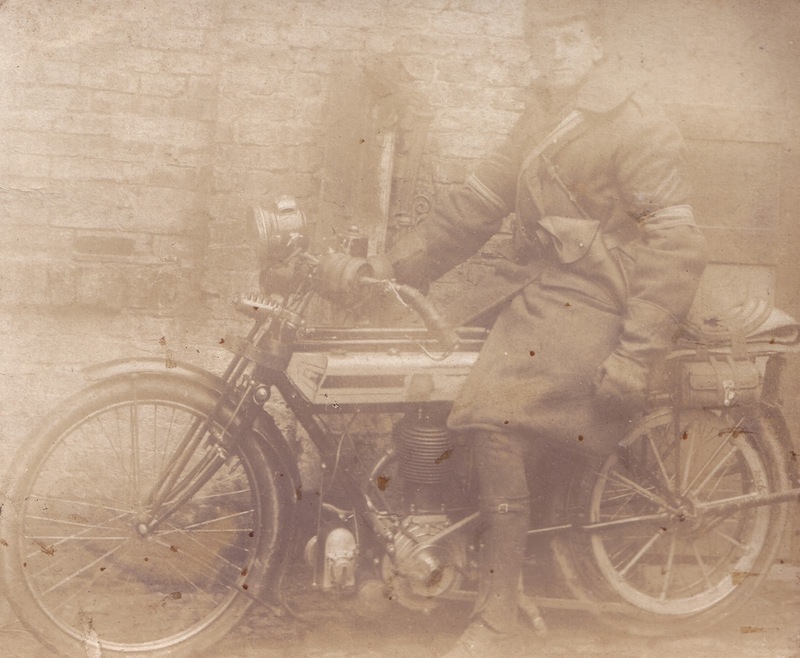 Some time was spent sheltering from a thunderstorm and some on trying to start a waterlogged bike after. Also the steering damper came loose at one point and those violent shakes returned. It's not often I don't enjoy riding a bike but this was one of those rare times and a definite low point in my motorcycling career! At the rally the morning after was spent re-adjusting the chair. 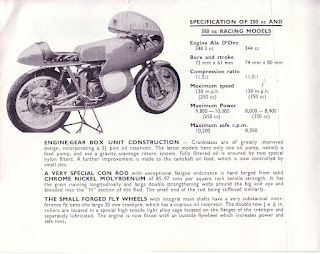 Thankfully I had thought to add extra ballast in the form of several massive spanners, adjustables and a two foot long stilson. 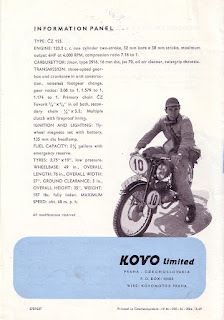 The handling was improved though still not perfect but the ride home approached enjoyable at times. 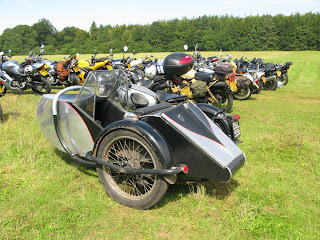 Once home more adjustment was possible and on the next test ride I finally got the appeal of sidecarring. 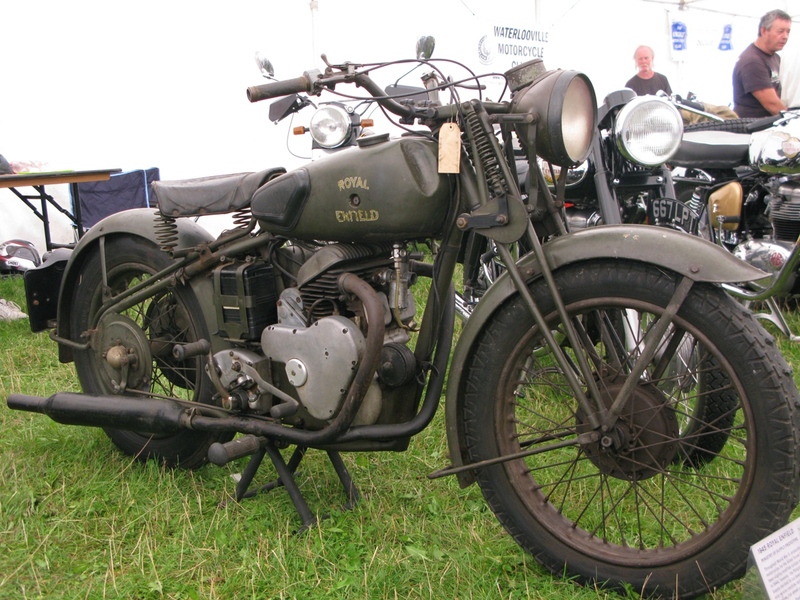 When set up properly the bike should run straight on a fixed throttle, steer away from the sidecar on slowing and in to it on acceleration. Riding the outfit feels like a skill worth learning and with satisfaction to be had. Plus it adds a new dimension to motorcycling and provides heart stopping thrills at moped pace speeds.. 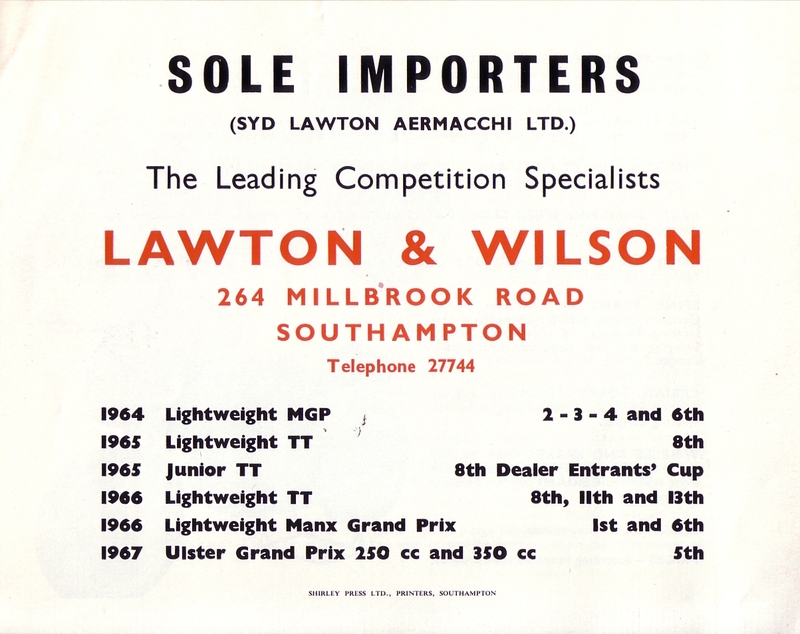 Here's the Syd Lawton Aermacchi Racers brochure for 1968. Aermacchi Racers brochure for 1968 page 1. 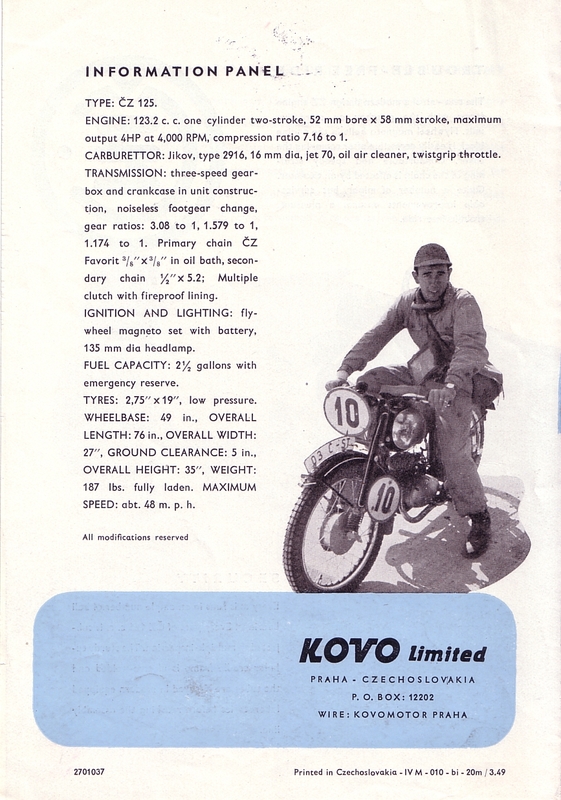 Aermacchi Racers brochure for 1968 page 2. Aermacchi Racers brochure for 1968 page 3. 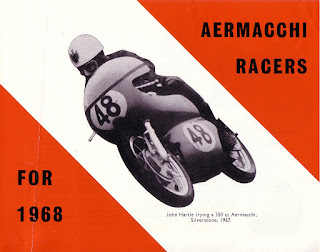 Aermacchi Racers brochure for 1968 page 4. 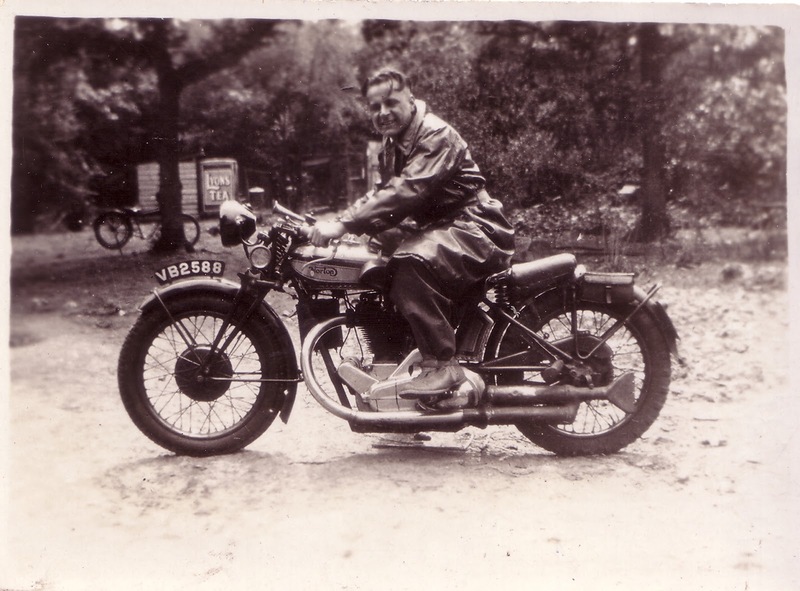 Looks like he's cutting a dash with a 1929 ES2. 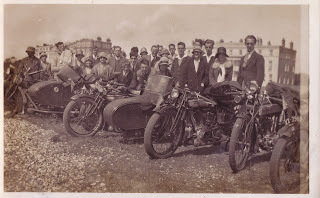 Mid twenties club run to the sea with Nortons and Triumphs. and Beesas in the background.